The Wednesday, November 14, 2018, Climate Justice Forum radio program, produced by regional, climate activist collective Wild Idaho Rising Tide, features news and reflections on a Great Falls federal court order blocking Keystone XL pipeline construction, litigation crowdfunding and an Idaho water quality permit for a second, Lake Pend Oreille railroad bridge, fires on Paradise Ridge and in northern California, Court of Appeals arguments against Highway 95 eastern expansion near Moscow, and EPA-proposed reopening of the Bunker Hill Mine in Kellogg. Broadcast for six years on progressive, volunteer, community station KRFP Radio Free Moscow, every Wednesday between 1:30 and 3 pm Pacific time, on-air at 90.3 FM and online, the show describes continent-wide resistance to fossil fuel projects, the root causes of climate change, thanks to the generous, anonymous listener who adopted program host Helen Yost as her KRFP DJ. The Wednesday, November 7, 2018 Climate Justice Forum radio program, produced by regional, climate activist collective Wild Idaho Rising Tide, features news and reflections on an Idaho gubernatorial debate and Paulette Jordan’s candidacy, Idaho, Washington, and nationwide, midterm election results, and lawsuit hearings of the tar sands pipeline valve turners, youth climate activists, and Paradise Ridge Defense Coalition. We also air recorded, oral arguments about U.S. Highway 95 expansion south of Moscow, heard by the Ninth Circuit Court of Appeals in Portland. Broadcast for six years on progressive, volunteer, community station KRFP Radio Free Moscow, every Wednesday between 1:30 and 3 pm Pacific time, on-air at 90.3 FM and online, the show describes continent-wide resistance to fossil fuel projects, the root causes of climate change, thanks to the generous, anonymous listener who adopted program host Helen Yost as her KRFP DJ. The Wednesday, October 31, 2018 Climate Justice Forum radio program, produced by regional, climate activist collective Wild Idaho Rising Tide, features news and reflections on crowdfunding for litigation of an Idaho lake railroad bridges permit, oil and gas issues in an Idaho gubernatorial debate, the largest Kansas earthquake caused by fracking waste injection wells, ineffective, liberal and corporate, climate solutions, West Coast fossil fuels export and proposed military terminals, Minnesota police training for Line 3 pipeline protests, Mountain Valley pipeline barred from water crossings, and a 14-year-long, Gulf of Mexico, oil spill. Broadcast for six years on progressive, volunteer, community station KRFP Radio Free Moscow, every Wednesday between 1:30 and 3 pm Pacific time, on-air at 90.3 FM and online, the show describes continent-wide resistance to fossil fuel projects, the root causes of climate change, thanks to the generous, anonymous listener who adopted program host Helen Yost as her KRFP DJ. 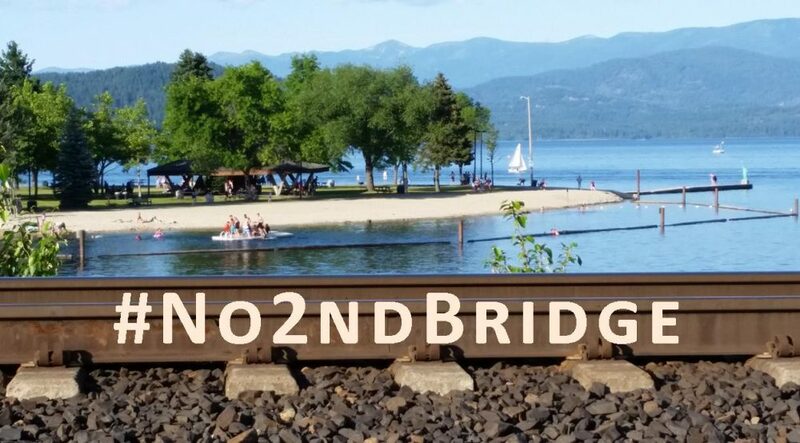 The Wednesday, October 24, 2018 Climate Justice Forum radio program, produced by regional, climate activist collective Wild Idaho Rising Tide, features news, reflections, and recordings about absent state oil and gas lease auctions, crowdfunding for litigation of an Idaho lake railroad bridges permit, train spill boom practice on Lake Pend Oreille, increased oil-by-rail traffic with reduced safety rules, protests during President Trump’s Missoula visit, a federal court order against warmer Columbia Basin river temperatures, Bayou Bridge pipeline resistance in Texas, and other topics. Broadcast for six years on progressive, volunteer, community station KRFP Radio Free Moscow, every Wednesday between 1:30 and 3 pm Pacific time, on-air at 90.3 FM and online, the show describes continent-wide opposition to fossil fuel projects, the root causes of climate change, thanks to the generous, anonymous listener who adopted program host Helen Yost as her KRFP DJ. The Wednesday, October 3, 2018 Climate Justice Forum radio program, produced by regional, climate activist collective Wild Idaho Rising Tide, features news and reflections on a lawsuit and petition against a state railroad bridges permit, coal train derailments into Montana and Utah rivers, Northwest governor reactions to changed federal oil train safety rules, relaxed national methane release laws, Montana plans to treat Keystone XL pipeline protesters as terrorists, solar-paneled roadway problems, and other topics. Broadcast for six years on progressive, volunteer, community station KRFP Radio Free Moscow, every Wednesday between 1:30 and 3 pm Pacific time, on-air at 90.3 FM and online, the show describes continent-wide resistance to fossil fuel projects, the root causes of climate change, thanks to the generous, anonymous listener who adopted program host Helen Yost as her KRFP DJ. The Wednesday, September 26, 2018 Climate Justice Forum radio program, produced by regional, climate activist collective Wild Idaho Rising Tide, features testimony excerpts of an Idaho scoping hearing on a proposed Newport silicon smelter, and news and reflections on coal, oil, and other train derailments, diminished federal rules for oil train brakes, a railroad-funded, Bonner County, off-road ambulance, hurricane flooding of coal ash ponds and toxic sites, and a Line 3 tar sands pipeline blockade in Minnesota. Broadcast for six years on progressive, volunteer, community station KRFP Radio Free Moscow, every Wednesday between 1:30 and 3 pm Pacific time, on-air at 90.3 FM and online, the show describes continent-wide resistance to fossil fuel projects, the root causes of climate change, thanks to the generous, anonymous listener who adopted program host Helen Yost as her KRFP DJ. The Wednesday, September 19, 2018 Climate Justice Forum radio program, produced by regional, climate activist collective Wild Idaho Rising Tide, features news and reflections on Washington scoping hearings and comments on a Newport silicon smelter, statewide Idaho activist training workshops, a lawsuit against a state permit for Lake Pend Oreille railroad bridges, and indigenous and frontline protests of San Francisco climate capitalism talks. Broadcast for six years on progressive, volunteer, community station KRFP Radio Free Moscow, every Wednesday between 1:30 and 3 pm Pacific time, on-air at 90.3 FM and online, the show describes continent-wide resistance to fossil fuel projects, the root causes of climate change, thanks to the generous, anonymous listener who adopted program host Helen Yost as her KRFP DJ. The Wednesday, September 12, 2018 Climate Justice Forum radio program, produced by regional, climate activist collective Wild Idaho Rising Tide, features news and reflections on inland Northwest, Rise for Climate actions and kayaktivist flotillas, statewide activist training workshops, pipeline delays increasing Canadian tar sands trains, Idaho agency responses to a federal court decision against forced, oil and gas leases, a Gem County oil and gas ordinance, Washington scoping hearings and comments on a Newport silicon smelter, and a Louisiana pipeline court injunction, police corruption, and protester felony arrests. Broadcast for six years on progressive, volunteer, community station KRFP Radio Free Moscow, every Wednesday between 1:30 and 3 pm Pacific time, on-air at 90.3 FM and online, the show describes continent-wide resistance to fossil fuel projects, the root causes of climate change, thanks to the generous, anonymous listener who adopted program host Helen Yost as her KRFP DJ.